Cigarette smoke has been the target of considerable research due to its hazardous effects on the human body. Little of this research has gone into depth on its effect on plant life. What evidence is available shows us that there are both beneficial and detrimental effects when cigarette smoke is applied to plants. Smoking cigarettes is still a popular habit, despite its many adverse health effects. Hundreds of highly toxic and addictive chemicals are found in cigarettes. Many of these lead to deadly diseases such as cancer. The microorganisms found growing on all plants produce enzymes and hormones needed for growth. 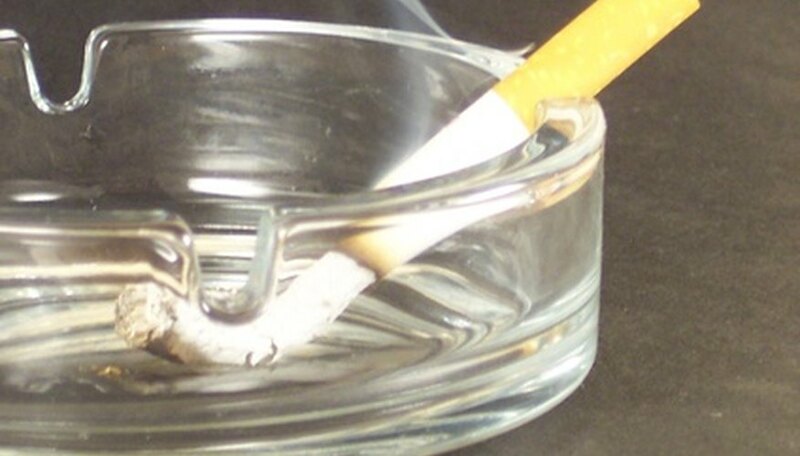 The production of these microorganisms can be inhibited by cigarette smoke in the environment. Cigarette smoke can hinder plant growth and leave a plant without the proper compounds it needs to fight off biological threats, such as disease. Plants are known for their ability to help clean the air from harmful pollutants. Some plants are better equipped for this job and can help remove cigarette air pollution while absorbing necessary compounds for their own growth. Carbon dioxide is probably the greatest example of this. There are numerous particles and chemicals in cigarette smoke that are harmful to plants. Many of these will stick to the leaves and organs of the plant, making it harder for plants to absorb sufficient light. As the plant begins to absorb these chemicals, many of its natural biological functions--including photosynthesis--are inhibited and it becomes more difficult for the plant to battle other environmental threats. Many plants suffer from a condition known as epinasty, which is when leaves turn down from contact with too much cigarette smoke. The ethylene in the smoke produces swelling within the plant and limits normal growth. New Mexico State University: Does smoking cigarettes hurt plants?